Nicole and Ed’s wedding is one that will be remembered by all as an incredibly special time where friends and family members from all over the world were able to gather together at one place, at one point in time, to celebrate Nicole and Ed on their very special day. 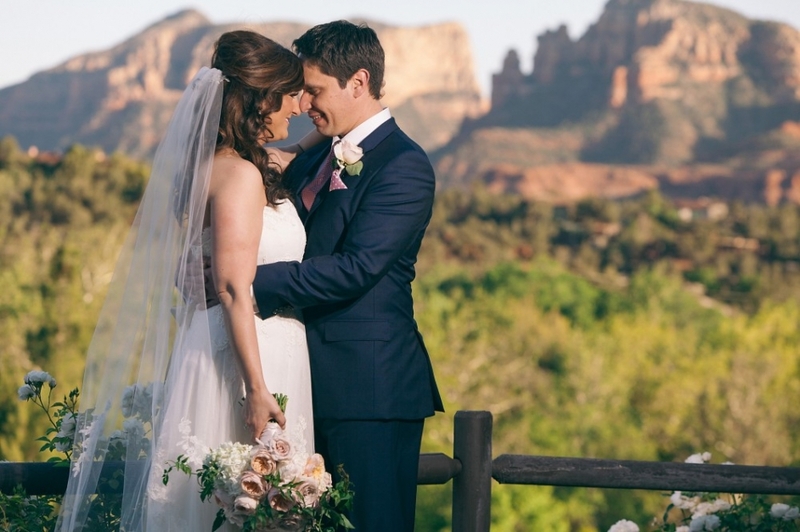 Since Nicole and Ed’s loved ones were so scattered, there wasn’t really one place where everyone would be, so they decided to make it a destination wedding for most by choosing to get married at L’Auberge de Sedona in (you guessed it) Sedona, Arizona. 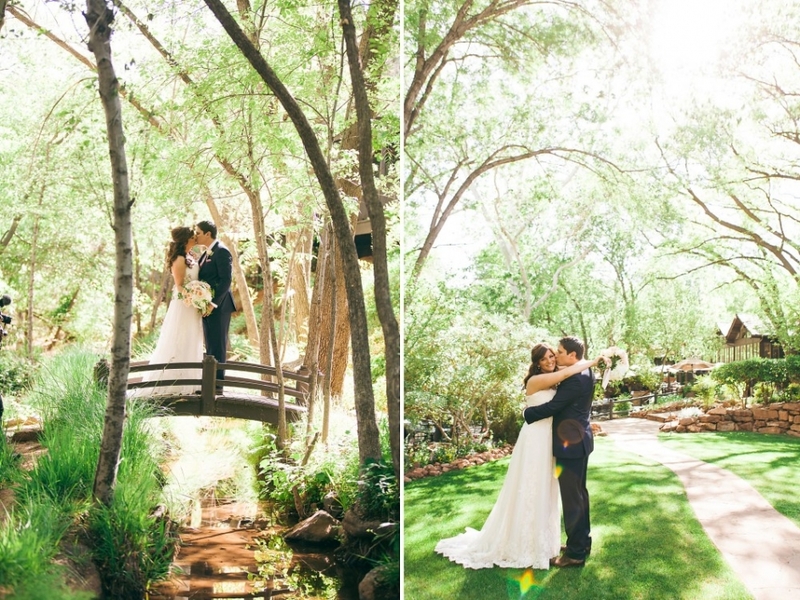 It proved to be the perfect location choice for their wedding with it’s famous red rocks and fun southwestern feel, topped off by the beautiful little creek running through L’Auberge, right next to their reception! With the tiny white lights, friends and family everywhere, it was the wedding that dreams are made of for Nicole and Ed. …including her aunt who performed the ceremony, and her uncle who busted out his guitar and vocal chords multiple times on the wedding day. It doesn’t take a relationship expert to see that Nicole and Ed are so very happy together, and were enjoying their big day to the fullest (special thanks to their wedding coordinator Sandy Walker with In Awe Weddings and Events for pulling it all off so that the couple was actually able to relax and enjoy their day fully!). …but by all their loved ones as well! Congratulations Nicole and Ed, we loved being a part of your wedding and are so happy for the two of you!!! Click to see the rest of Nicole and Ed’s Wedding to be Remembered. When I say Carla and Will got married in “Paradise” I don’t mean Hawaii, I mean that their magically beautiful wedding was in good ‘ole Southern California, but in a particularly gorgeous part of it! You would almost think it WAS Hawaii with all the greenery, gorgeous ocean views, and perfect weather! … and for their equally gorgeous and incredibly fun reception! When it came time for photos with the two of them, Scottie and I (Breanna), couldn’t get enough of the location OR of their adorableness together! Such an incredible couple! You can tell how amazing they are for one another just by seeing the way they looked at each other during their many perfect moments at this perfect wedding! Carla and Will, we couldn’t have been happier to watch two people so in love and so great for each other, commit their lives to one another! We had a fantastic time at your wedding and we appreciate how easy you made things for us and how willing you were to do whatever it took to get the perfect photo! We can’t wait to see you guys go through life together, and we wish you the very best as you begin it! 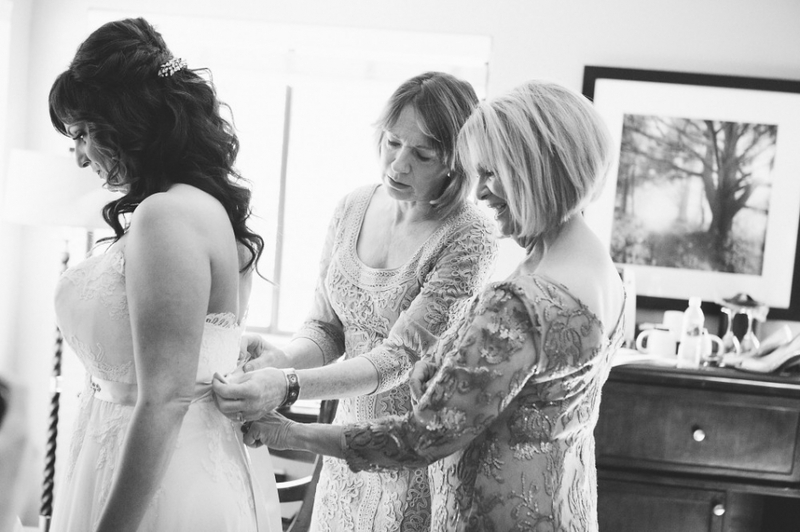 Click to see the rest of Carla and Will’s Wedding in Paradise. We know Finnley through our mutual friends (otherwise known as her parents), Allison and Elijah. I have to say, Finnley is definitely one of the coolest kids I know. Trust me, you’re going to be glad I introduced you to her! Oh and most importantly, she has incredibly cool parents who love her and support her throughout it all! Finnley, I know one day you’ll probably think your parents are lame and don’t know what they’re talking about, but trust me, as a friend who knows them well, I can tell you that they know a lot more than you think and that they love you more than anything, or anyone, in the world. So Future Finnley, just stop bothering them for the car keys, please listen to them about boys, and for heaven’s sake clean up your room! I’m just kidding of course (but seriously, you’re not getting the car keys AGAIN tonight!). Scottie and I love you already and we can’t wait to see what a cool big kid/teen/woman you turn out to be one day! Click to see the rest of Our Baby Bestie, Finnley’s photos. Martin and Emily have an extra special place in my (Breanna’s) heart. …but because they met through my beloved former employer, Starbucks! Emily is a Starbutian? Starbucker? Starbaritianer? Whatever… you know what I mean, she works there! Martin was just a casual coffee drinker (or maybe a very serious one, I don’t know!) but I’m guessing that on his casual trips into to coffee land, the last thing he ever expected was to meet the love of his life! But lo and behold, that’s exactly what happened! They became fast friends and remained just friends for quite sometime, until the magical Starbucks Siren wooed them into love and they became a wonderful couple who enjoys spending tons of time together and just can’t get enough of one another! They are so wonderfully cute together! Their love is so adorable, you just want to squeeze them! Which is why we can’t wait to see them together on their wedding day! I have a feeling, it’s going to be one for the Starbucks’ match-making history books (which I don’t think exist, but probably should!). Thanks for a wonderful session, Martin and Emily, and we look forward to seeing you on the big day! Click to see the rest of Martin and Emily’s Coffee instigated Engagement Session. I (Kelley) don’t know a whole lot about golf, but while Josh and I were shooting Connor’s senior session, I began to consider adding golf into my regular fitness routine. If golfing means hanging out with wonderful people like Connor and his family in a beautiful place like The Country Club at DC Ranch, how could it ever be anything but amazing? For real, this place is drop dead gorgeous! What a perfect backdrop for a senior session. Our location wasn’t the only awesome part of this shoot, we also had the pleasure of working with one of the most down-to-Earth, well-spoken, and fun high school seniors Josh and I have ever had the pleasure to work with. Soon after meeting up with Connor, he and his lovely mom, Ashley, showed us around the club. We spent some time snapping shots of Connor near the courtyard area and quickly found that he’s an absolute natural in front of the camera. Even as his friends and family walked by, poking fun at him to get him to lose his composure and crack a smile, he remained calm and casual. For the second half of the session, we moved on to the golf course. After playing golf on this course for years, Connor seems to know each and every hole like the back of his hand. We jumped in a couple of golf carts, and Connor showed us the very best spots on the course. Between the views, the light, the amazingly perfect cloud cover we had that day, and of course the incredibly easy-going and natural Connor as our model, Josh and I were in photographer heaven. We hung out way past our usual “pack up and go home” time, breaking out our camera flashes and having some extra fun creating a few epic sunset shots. Connor, thank you so much for giving us the opportunity to get to know you and your wonderful family. Thank you for showing us around your stomping grounds. And finally, thank you for making our jobs feel less like work and a whole lot more like fun! With your motivation and steadfastness, we know you’re going to do great in your college career!